Install safe, durable, beautiful schist walling. Schist cladding provides a beautiful, natural finish for your project. Hydestone recommend using a proven, accredited schist cladding system that reduces your building costs, and complies with your local council regulations. Hydestone Cladding System folllows traditional, solid stonemasonry practices utilising stone cut to 150mm and is accredited by BRANZ. 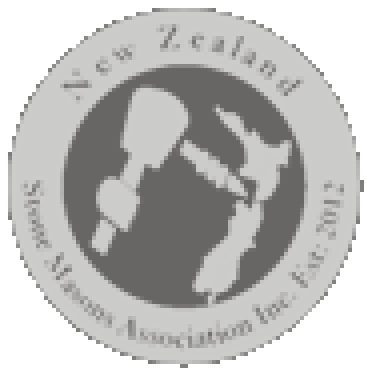 In 2006, Hydestone® were awarded BRANZ accreditation for their schist wall cladding system which covers the design and installation of schist veneer walling in New Zealand. The system is available only for use with Hydestone® products. situated in NZS 3604 Building Wind Zones up to, and including, 'Very High'. Where restriction in weight and height prohibit the use of 150mm, Hydestone® is available cut to 40mm. The Hydestone® Schist Wall Cladding System must only be installed by approved Stone Masons documented in the Technical Literature. Click here to request a manual. SUMNER’s specialised veneer wall cladding system is compliant with the New Zealand Building Code (NZBC). Councils are obliged to accept plans for installation of SUMNER Veneer walling, submitted with its current CODEMARK Certificate, as consented. The system also comes with a comprehensive 15-year guarantee warranting the stone, weather-tightness of the system and that it won't pull free of the wall. SUMNER supplies Hydestone schist stone veneer ready to install, and delivers the adhesive, board, tape and every component needed to successfully complete projects. Each component has been designed and tested to ensure the installation is weather tight, structural and problem free. SUMNER Board is denser than most fiber-cement boards, having a density of 1420 kg per cubic metre. The stone, adhesive and board are similar in their makeup and consequently have a similar lineal coefficient of expansion and contraction - an advantage of using a system designed specifically for stone veneer. For further information, please visit the SUMNER Schist Website.